Dawn Hewitt joined the firm as a law clerk in the summer of 2004. She graduated from Stetson University College of Law in St. Petersburg, Florida in July 2005. She completed her third year of law school at the University of Denver Sturm College of Law and was admitted to the Colorado bar in October 2005. Ms. Hewitt works in the areas of conservatorships, guardianships, probate, and public and private disability benefits and long-term care planning. 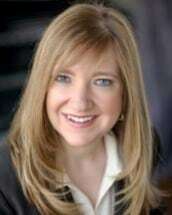 She is a member of the Colorado Bar Association and the Douglas County Bar Association. In law school, Ms. Hewitt served as brief writer on Moot Court Board teams that won both the best brief award at the 2004 Philip C. Jessup International Law Moot Court southeast regional competition and the runner-up best brief at the 2003 Stetson International Environmental Law competition. She also received the highest grade in Research and Writing II. Prior to entering law school,Ms. Hewitt earned her paralegal certificate from the Denver Paralegal Institute. Ms. Hewitt previously worked as a paralegal in the Denver area for five years, primarily in the area of elder law. She also has paralegal experience in the areas of civil litigation, anti-trust, and securities regulation. Ms. Hewitt earned her Bachelor of Arts degree in political science from the University of Colorado at Boulder.